the flexibility of multiple bilateral relations and international ties. 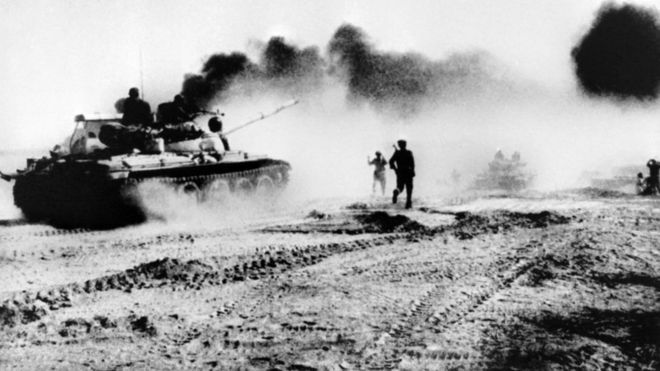 The Iran-Iraq War broke out on 22 September 1980, with ten Iranian air bases hit and Iraqi divisions penetrating the oil-rich territories of Khuzestan.1.Dilip Hiro, “The Longest War: The Iran-Iraq Military Conflict”: Routledge, 40-41 A rising Iraq under Saddam Hussein was proving to be a security concern for states like Libya and Syria, who sided with Iran. On the other hand, Iraq received overt support from Egypt and Jordan.2.Arthur Goldschmidt, Jr., “A Concise History of the Middle East”: Westview Press, 141. Of particular note were the actions of the Gulf states, who for the most part attempted to remain publicly neutral, though Saudi Arabia and Kuwait both made overtures to the side of Saddam Hussein. Advancement of Iraqi troops into Iranian territory. Source: BBC. Oman’s benign attitude was greatly contrasted however by its actions during the earliest days of the Iran-Iraq War. The complex web of alliances and regional ties makes any assessment of this period difficult. However, an examination of Omani ties on distinct, bilateral levels helps illustrate the pragmatic, if ever shifting nature of the country’s international policies. While Omani-Iraqi relations officially began in 1976 with the opening of embassies, one of the foremost events in their bilateral history can be traced to February 1979, when the Pahlavi regime collapsed in Iran and Ayatollah Khomeini emerged as Supreme Leader of the Iranian Republic.8.“Envoy speak: Oman-Iraq relations flourish in new era” : Times of Oman Saddam Hussein, Vice President of Iraq at the time, recognised the security threat presented in the new Iranian Republic, and found the need for regional partnerships in order to stem the religious and revolutionary fervor of Iran.9.“Iraq Timeline” : National Defense University Press High ranking envoys from Baghdad were quickly sent to many states in the Arab Gulf, including Oman.10.“Tilting Toward Baghdad: Gulf States’ Aid to Iraq”, a brief by the Central Intelligence Agency This was shortly followed by the signing of a security pact between Iraq and Saudi Arabia in that same month.11.Joseph Kostiner, Conflict and Cooperation in the Gulf Region, 58: Springer VS Saddam then proposed a pan-Arab charter that was approved by every Gulf state save for Oman.12.Iraq’s Pan-Arab Charter”, a brief by the Central Intelligence Agency13.Gerd Nonneman, “The Gulf States and the Iran-Iraq War: Pattern Shifts and Continuities” in Iran, Iraq, and the Legacies of War, 173: Palgrave Macmillan Such positioning highlighted Oman’s desire for flexibility in reaction to the growing changes in the region. A May 1980 delegation led by Omani Foreign Minister Qais al-Zawiwi resulted in the country expressing support for the Iraqi National Charter, a clear desire in increasing bilateral cooperation, and a hope of removing “any misunderstandings that might have arisen as a result of certain political opinions.” These actions contrasted sharply with neighboring Gulf states, who seemed eager to jump into full relations with Iraq. Declassified UK document on potential strikes on Iran from Oman and Iraq. Source: Margaret Thatcher Foundation. It is unknown if these words changed Omani policy moving forward, or if these ideas were already being considered. As war continued to rage on, Omani policy shifted away from its belligerent nature and began urging the warring parties to negotiate. 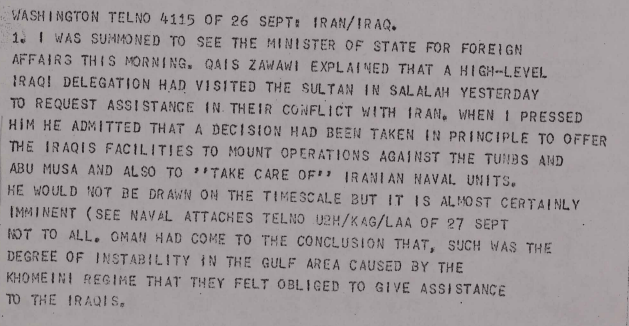 Starting in 1985, Omani officials began to conduct relatively warm communications with Iranian counterparts.30.“Iranian Intentions in the Persian Gulf”, briefing by the Central Intelligence Agency These dealings coalesced further, as exemplified by the visit of Omani Minister of State Yusuf bin Alawi, who visited in May of 1987 to reach “an agreement to develop jointly a gasfield in the Strait of Hormuz and to establish a communication link.”31.Ibid. This same report noted that Omani reconciliation with Iran arose from a belief that “improved relations with Tehran [would] deter Iranian aggression.”32.Ibid. 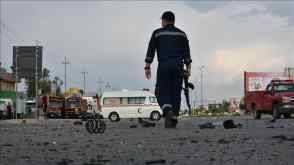 Such policy solidified into secret cease-fire discussions held in Muscat and although formal agreements were never signed, mistrust between Iran and Iraq decreased as a result. Oman maintained these sentiments by rallying hard for peace and for restored relations with Iran at the United Nations, which would eventually coalesce into UN Security Council Resolution 598, ceasing all hostilities in the Iran-Iraq conflict.33.“Security Council Demands a Truce in Iran-Iraq War” : New York Times34.“Security Council Resolution 598: Iraq-Islamic Republic of Iran” from the archives of the United Nations Peacemaker In the immediate aftermath, Oman maintained its warm relations by working with the U.K. and Saudi Arabia in normalising relations with Iran.35.“Oman warns on military confrontation with Iran” : ReutersSuch actions laid the foundation for similar ventures, with Oman later playing a key role in establishing the JCPOA between Iran, the European Union, and the United States. In conjunction with efforts in currying favor from both Iran and Iraq, Oman made the critical decision to build relations with the U.S.. Previously, Oman worked with British military forces for the training of local forces.36.“Loan service personnel for Oman” : British National Archives However, Soviet influence in the Dhofar Rebellion convinced Sultan Qaboos that greater ties with the United States would be critical in maintaining sovereignty.37.Arthur Goldschmidt, Jr., “A Concise History of the Middle East”: Westview Press, 338-339.38.Alexander Schade, “Counterinsurgency Strategy in the Dhofar Rebellion”. 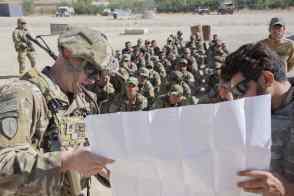 Small Wars Journal The emergence of conflict between Iran and Iraq would serve as the right junction for Sultan Qaboos to expedite this goal. As war erupted between Iran and Iraq, Oman quickly became aware that its playing of both sides was not the only strategy it could rely on. Budding U.S.-Omani relations would prove to be the perfect opportunity for increased security deals.39.“The United States and the Sultanate of Oman: Two Centuries of Friendship” : U.S. Embassy in Oman These developments ultimately coalesced into a facilities access agreement established in 1980, enabling U.S. military forces to operate via Omani bases. 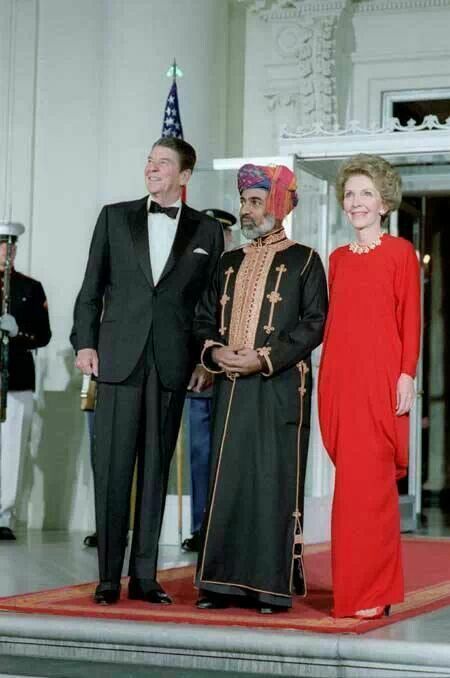 Sultan Qaboos meeting with U.S. President Ronald Reagan in 1983 at the State Dinner. Ultimately, it became clear by the end of the war that Oman-U.S. ties would become paramount in maintaining the country’s security. By allying itself with a major power like the United States, Oman was able to gain breathing room in the conflict and become emboldened in its political actions. 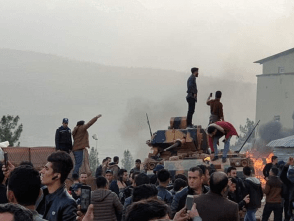 While the relationship strengthened the U.S. hegemony, it came with military aid, monetary assistance, and a greater connection to the international community. Most significant of all was assurance towards Omani autonomy from its regional neighbors, as direct aid by the U.S. meant Oman would not have to worry about threats so as long as this bilateral relationship was maintained. If one major trend is derived from the Iran-Iraq War, it is the strengthening of Oman’s position on the international stage. Though a weak state, Oman was able to use soft power and geographical considerations in bilateral agreements with the United States and international organizations like the GCC and United Nations. By constantly emphasising the desires of peace and for free movement within the Strait of Hormuz, most states were able to agree with the Sultan’s sentiments without negative repercussions. Peace and trade are two universally accepted ideas expressed by the international community, and Oman, throughout the course of the war, continued to harp on these ideas as pillars of its own international identity. As a result, Oman gained considerable ties to the west and significant positive relations with its neighbors. 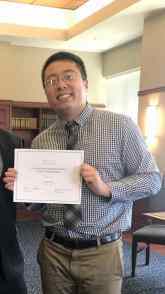 Edwin Tran is a geopolitical analyst focused on the Levantine region. He degrees in History and International Affairs, and has published work in various sites from newspapers to academic journals. Edwin has spent time living and researching in the Levant. He specialises in hybrid organisations and their historical contexts in order to understand their popularity and political successes within civil society. 2. ↑ Arthur Goldschmidt, Jr., “A Concise History of the Middle East”: Westview Press, 141. 14, 18. ↑ Kambiz Fattahi, “The Oman Scare: The Untold Story of Oman’s ‘Almost Military Strike’ on Iran”. Wilson Center. 20. ↑ Kambiz Fattahi, “The Oman Scare: The Untold Story of Oman’s ‘Almost Military Strike’ on Iran”. Wilson Center. 31, 32, 40. ↑ Ibid. 37. ↑ Arthur Goldschmidt, Jr., “A Concise History of the Middle East”: Westview Press, 338-339. 43, 44. ↑ Briefing by the U.S. Department of State.